Came up through the ranks at Queens Park Rangers from where he had a loan spell at Inverness Caledonian Thistle before moving on to Yeovil Town. He then went on to Wingate and Finchley before playing for Phoenix Rising in Arizona. His team-mates in the United States included Didier Drogba and Bradley and Shaun Wright-Phillips. 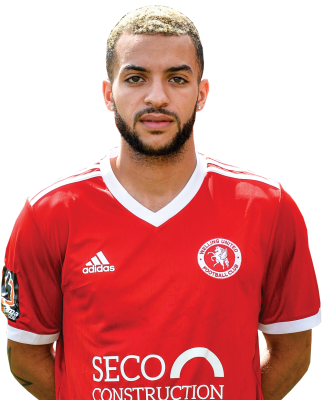 Upon his return to England, he signed for Whitehawk under Steve King before moving to Welling in the summer.